In the 6th century A.D., a monk and writer by the name of John Moschos took his disciple Sophronius on a pilgrimage the ancient holy sites of Christianity. In making their pilgrimage, the pilgrims' purpose was simple: to discover a practical way to encounter the mystery of Jesus Christ and become partakers of divine nature. In short, they wanted to know how to be saved. A friend and fellow pastor recently shared his opinion that the Orthodox Church in Cranbrook exists to offer a testimony to the dimensions of beauty and mystery that are too easily forgotten in post-modern Christianity. I would agree. 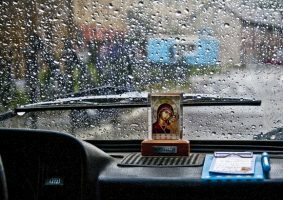 Dostoevsky once said, “Beauty will save the world.” He may well have been speaking of his own Orthodox Christian faith, which places both beauty and mystery at the heart of its spiritual culture and worship. What is beauty? It is not primarily a set of standards by which society deems certain things or people more pleasing to eye than others. Beauty, rather, is the glory of God shining in the lives of His children. One of the Church Fathers said, “The glory of God is a human being fully alive.” When we live the full, authentic human lives as God created them to be, His glory radiates through us in a way that is unique to each one of us. This radiance is what makes us truly beautiful, regardless of our physical appearance or worldly attributes. How then do we acquire this beauty in our lives? That’s where mystery comes into play. In the Orthodox tradition, mystery has a very specific meaning, which is suggested in Saint Paul’s Epistle to the Ephesians: “In Him we have redemption through His blood, the forgiveness of our trespasses, according to the riches of His grace, which He lavished upon us, in all wisdom and insight making known to us the mystery of His will, according to His purpose, which He set forth in Christ as a plan for the fullness of time, to unite all things in Him, things in heaven and things on earth.” The mystery of God is nothing less than the divine-human person of Jesus Christ, who unites all things in heaven and on earth to God in Himself. By encountering the mystery who is Jesus Christ—by putting on Christ, as Saint Paul puts it—we can become “partakers of divine nature.” (2 Peter 1:4) And by participating in His divine life, we enter into His beauty and are reunited with the God who made us for Himself. Dostoevsky’s prophecy is fulfilled: beauty does indeed save the world. In the 6th century A.D., a monk and writer by the name of John Moschos took his disciple Sophronius on a pilgrimage the ancient holy sites of Christianity. Along the way, they visited a monastery in Egypt, located on the site where Anthony the Great, the founder of monasticism, spent most of his life in a desert cave. They also went to Mount Sinai, where another monastery was built on the site where Moses saw the burning bush. John and Sophronius discovered that this simple prayer—called “the Jesus Prayer”—is in fact the heart of ancient Christian spirituality. To this day, Hescyhia remains the most important spiritual practice of the Orthodox Church. 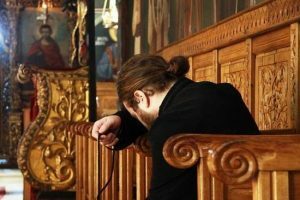 The essence of the Jesus Prayer consists in the word “mercy,” which in Orthodox tradition connotes healing and wholeness, rather than pardon or clemency. Daily, moment by moment and heartbeat by heartbeat, we call on Jesus Christ to heal us, binding up the self-inflicted, deadly wounds of sin, and reuniting us with God in love and joy. 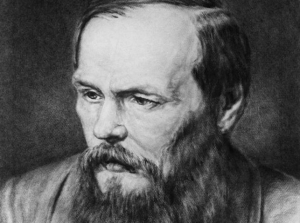 To invoke Dostoevsky’s idea again, Hesychia allows us to call upon beauty—the glory of God revealed in Jesus Christ—to save us by restoring us to the true humanity for which we were created. A recent documentary by Dr. Norris Chumley and Rev. Dr. John McGuckin entitled Mysteries of the Jesus Prayer(www.mysteriesofthejesusprayer.com) retraces the steps of those 6th century Christian pilgrims, taking us to the sites they visited, which still function as places of inner stillness today. If you have not had the opportunity to view this remarkable film, I invite you to do so. You will rediscover a two thousand year old secret, ahidden wisdom which speaks to us today with a fresh urgency,showing us how to find true beauty in a time of desolation anddestruction; how to find inner peace in a time of conflict andhatred; and how to be reunited with God and each other in a time of alienation and division. Fr. Richard Rene is a priest in the Orthodox Church of America, a professional writer and has published a number of poetry, short stories and novels. He also has a podcast on Ancient Faith Radio and posts regular sermons and reflections on his blog Mysterion. 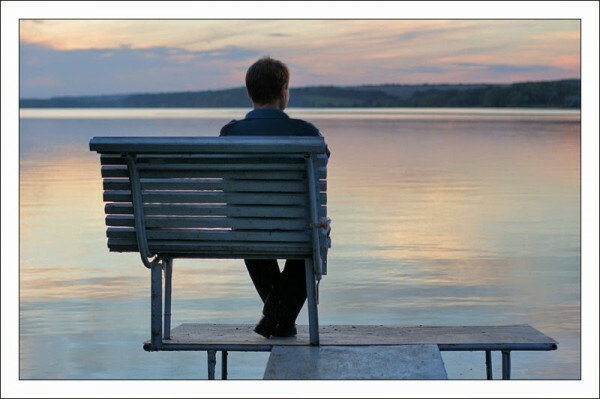 Why Some People Leave the Orthodox Church?